(Reuters) - Three different groups of creditors to Tribune Co filed rival proposals for ending the newspaper publisher's near two-year stay in bankruptcy. The three plans, which were filed Friday with Delaware's Bankruptcy Court, will compete for creditor support against the company's proposed plan. Like the company's plan, the proposals allow for Tribune's businesses, such as the Los Angeles Times and Chicago Tribune, to exit bankruptcy while creditors fight over how to apportion blame for its bankruptcy. Tribune, which also owns 23 television stations, filed for bankruptcy just a year after real estate developer Sam Zell bought the company with billions of dollars in debt. Tribune has proposed a reorganization plan based on a settlement among lenders JPMorgan Chase & Co and hedge funds Oaktree Capital Management and Angelo, Gordon & Co. Under their plan those three would end up controlling the company. The Tribune plan tries to avoid many potential lawsuits by putting a value on legal claims and settling with bondholders, whose roughly $2 billion in investments were essentially wiped out by the bankruptcy. A hedge fund holding a large portion of those bonds, Aurelius Capital Management, clearly has no intention of accepting Tribune's settlement offer and it filed one of the competing plans. The other plans were filed a group holding senior loan claims and Marathon Asset Management LP and King Street Capital LP, which hold bridge loan claims. The plans mainly differ from the company's by foregoing settlements and pursuing legal claims against lenders, particularly the banks that loaned the money for the second part of Zell's two-step leveraged buyout. In July, a court-appointed examiner found the second part of Zell's buyout might be determined to be fraudulent. In conjunction with their bankruptcy plan, the group of senior lenders also filed a lawsuit against JPMorgan, Merrill Lynch, Citicorp and Bank of America. They said in the lawsuit the banks arranged $3.7 billion in Tribune loans in 2007 they knew the company could never repay. "The Lead Banks knew that this financing was barred by the terms of the Credit Agreement and it was tainted with fraud and other misconduct," the lawsuit, which was filed late on Friday, said. Representatives for the JPMorgan, Bank of America and Merill Lynch were not immediately available to comment on the lawsuit. Citicorp declined to comment. The lawsuit, which claimed that the banks had no exposure to the loans and collected more than $120 million in fees, was filed in the New York Supreme Court in Manhattan. The plaintiffs, including Alden Global Distressed Opportunities Fund and Arrowgrass Distressed Opportunities Fund, claim that the loans arranged by the defendants prevented Tribune from paying back earlier debt obligations. Separately, New York hedge fund operator Aurelius Capital Management proposed a competing plan late on Friday for the reorganization of Tribune that would take an aggressive stance in pursuing lawsuits stemming from the buyout of the troubled publisher. The filing in a Delaware court set the stage for a showdown with those who back the company's plan for getting out of bankruptcy. That plan has the support of other creditors including some big hedge funds and JPMorgan Chase & Co.
An examiner's report earlier this year said part of the buyout deal engineered by Zell might be "an intentional fraudulent conveyance." That opens the door to legal challenges to banker fees, creditor claims and billions in payments to shareholders. Aurelius, a Tribune creditor, is known for its aggressive tactics in bankruptcy. A steady stream of litigators from law firm Akin Gump Strauss Hauer Feld LLP filed requests with Delaware's bankruptcy court to appear on the hedge fund's behalf as it prepared for a showdown. Under Aurelius Capital Management's plan, a reserve would be created for holders of the company's bonds. 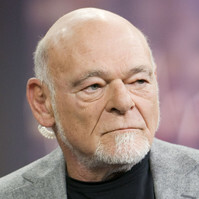 Aurelius would then aggressively pursue lawsuits against Zell, the lenders who supported his leveraged buyout in 2007, advisers and company executives among others. As part of the company-backed reorganization plan, JPMorgan, Merrill Lynch, Merrill's parent Bank of America Corp and Citigroup Inc agreed to pay $120 million to settle claims over the fees paid to leveraged-buyout bankers. Tribune's attempts to exit Chapter 11 have recently been overshadowed by a management upheaval. The company last week replaced Chief Executive Randy Michaels, who became a target of critics following a New York Times story that quoted numerous employees who were upset at pervasive sexual banter and profanity among top managers.